Children often learn through play, and they can learn to read by playing phonics games. 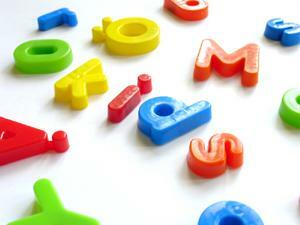 Phonics teaches children that letters make certain sounds. The sounds together form words. Phonics skills are fundamental in early reading. Phonics games help reinforce early reading skills. Word searches are great reading games. Several words are spelled out in a box and surrounded by various letters. Children must search for the word by circling the correct spelling within the box. Word scramble games promote early decoding and phonics skills. Letters of a word are mixed up and the children must unscramble them to make a real word. For example, tca = cat or nru = run. Begin with three letter words. Teach children that vowels are a, e, i, o, and u, and that the vowel is usually in the middle of the word. Tell the children they must make a real word and not a make believe word. Then, let the children put the letters together to make various words. Once they've mastered three letter words, move on to words with four or more letters. Hang Man is a common game that incorporates the use of several phonics skills. Words, names, and phrases are spelled out in a series of blanks by the first player. The other players begin by guessing letters. If a correct letter is guessed, the first player will write it in the appropriate blank. If an incorrect letter is guessed, the first player will draw one part of a person, such as the head, arms, or legs. Once an entire person is drawn, the game is over and the first player wins. However, if the players use their phonics skills for clues and correctly guess the mystery word or phrase before the entire person is drawn, then that player wins. Word puzzle phonics games incorporate the use of phonics skills. A word can be written on a sentence strip. Sentence strips are long pieces of paper that are a few inches wide with predrawn sentence lines. After writing the word, cut the sentence strip in various pieces using jagged or uneven cuts. The jagged cuts will help children figure out which pieces interlock to form the word. Bingo can also be used as a phonics game. Design a board with several small squares. For example, put together five rows of five squares for a total of 25 squares. Use cardboard or construction paper to cut out several smaller chips that can fit inside each square. Place a letter or picture in every square. For every small square on the board, you will need to make a corresponding question. For example, if your board has the letters a, b, and c in three of the smaller squares, the corresponding questions can read "What letter makes the sound buh." Be careful when pronouncing letters, such as B. Make sure you are saying it correctly: B - crisp and sharp as opposed to buuuh. Students then use a chip to cover up the corresponding letter on their board. If the squares of the board consist of pictures, the corresponding questions could read "What picture begins with the P sound? or What picture ends with the T sound?) Students who line up five chips in a row (diagonally, across, or up and down) win! There are many ways to reinforce phonics skills. In order to read, people must learn that each letter produces a sound that in turns makes a word. Phonics games are a great way to encourage children to use the phonics skills that they've learned.